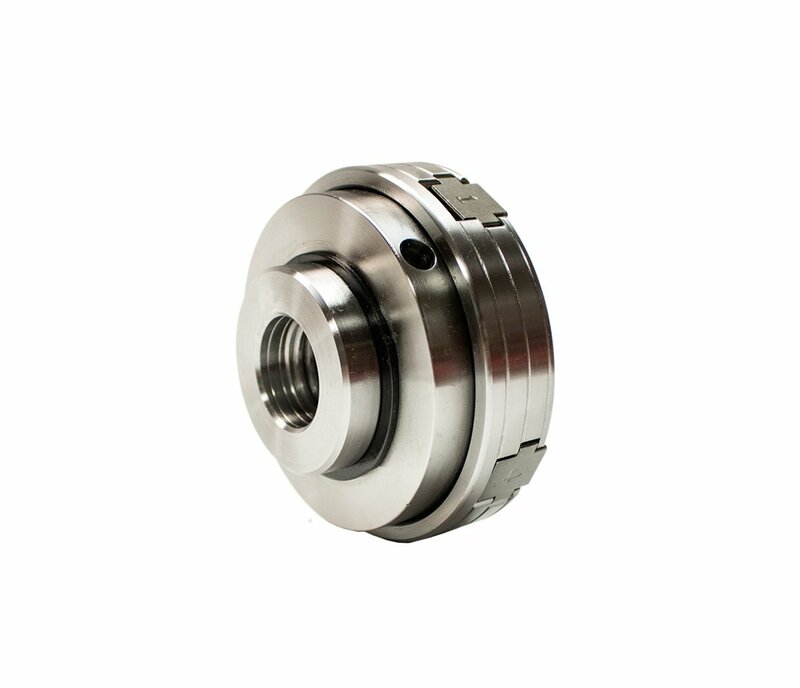 This 4-jaw self-centering chuck minimizes loads on small lathe spindles and bearings. This small chuck is suitable for smaller wood lathes with up to 12″ swing. 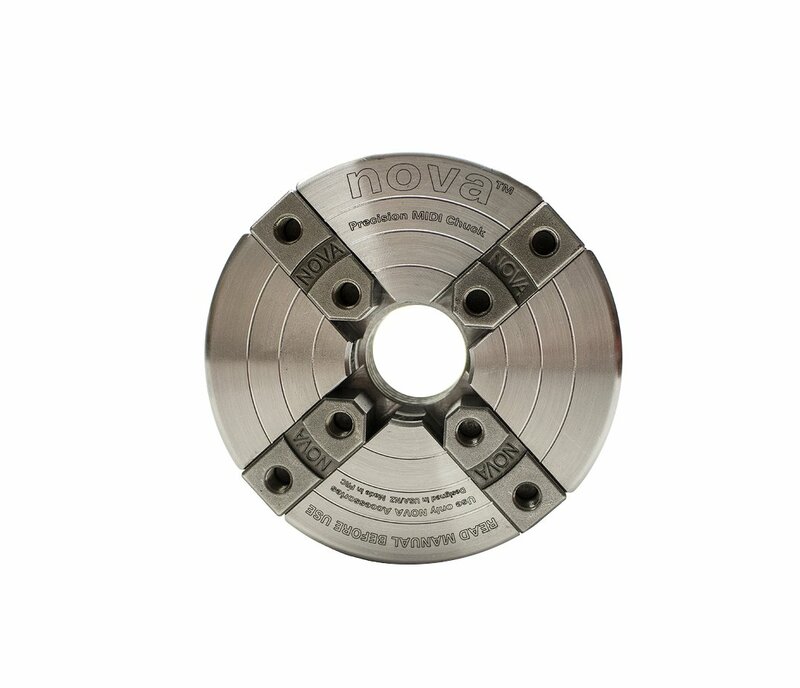 The NOVA Precision Midi Chuck is packed with unique features such as auto stop, copper composite jaw slides, Woodworm Screw, and 2″ jaws as standard. The quick two handle operation makes it ideal for fast turning of smaller pieces. Takes the same accessory range as other NOVA Chucks. 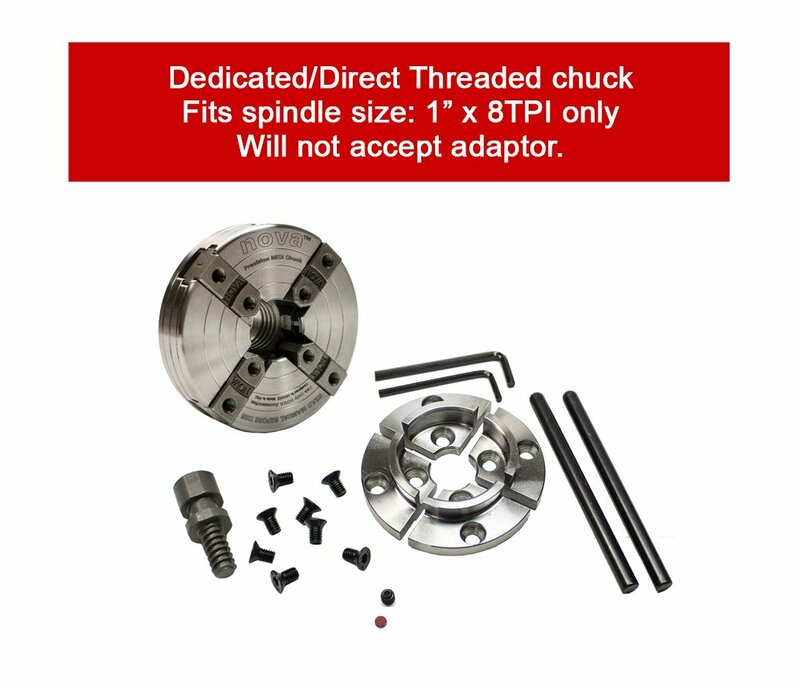 The NOVA Precision Midi is directly threaded for use on 1″x 8TPI RH threaded lathes.